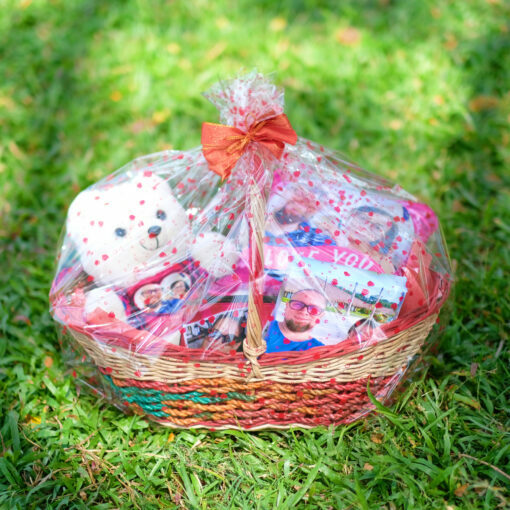 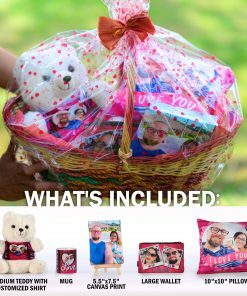 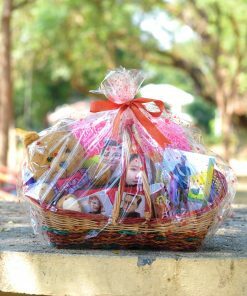 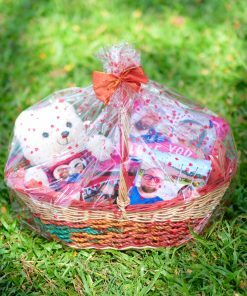 The Teddy Gift Basket – Medium is centered around the adorable medium-size teddy bear. 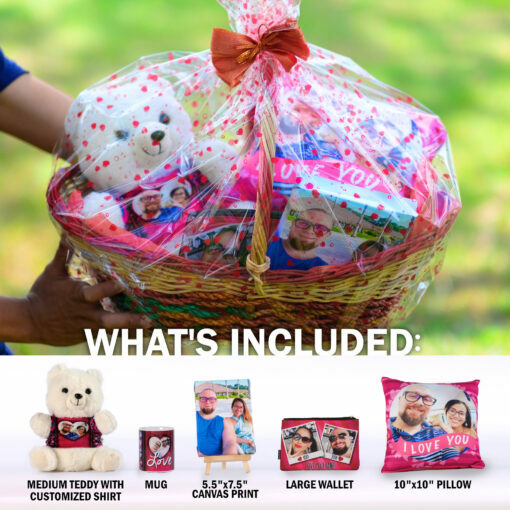 Customize the shirt that goes on the teddy bear. Other items included in this gift basket are a customized mug, 5.5″x7.5″ canvas print with easel, large wallet, and 10″x10″ pillow.